Last week Elon Musk and Tesla made history with the unveiling of the Model 3 – a $35,000 all electric vehicle. Though the car won’t begin shipping to customers until late 2017, the announcement of the Model 3 marks an important milestone for Tesla and electric cars in general. In this post we’ll explore Tesla’s strategy and show how it is further evidence of the power of integrative innovation. On August 2, 2006, Elon Musk wrote the first Tesla blog post titled “The Secret Tesla Motors Master Plan (just between you and me).” In that post Musk clearly explained his strategic plan for Tesla. He starts off by explaining the story behind Tesla, or the why. At the time the only car Tesla had announced was the Tesla Roadster, a two-door sports car priced at over $100k (at launch) and designed to go head to head against Ferrari and Porsche. For Musk the issue had to do with scale. He knew he couldn’t launch a $35,000 all-electric vehicle because he wouldn’t have the scale necessary to bring costs down that much. The only way Musk could achieve his vision was to make a healthy profit on every car he made and have those profits fund the development of a successive lower cost car. This plan is essentially the opposite of what classic disruptive innovation theory would recommend. 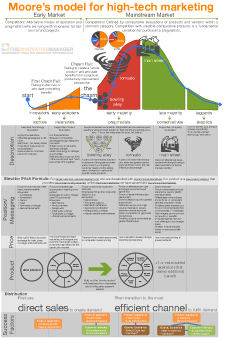 Popularized by Clayton Christensen, disruptive innovation theory suggests that for a new invention to be disruptive it must strip out features, focus on doing one thing well and start at the bottom of a market and move upwards. In addition to starting at the low end, disruptive innovations often are enabled by new technologies or new business models. In my blog posts I’ve described these as innovation enablers or runways. These new technologies or business models are what give disruptive ideas a runway to move up market and take share. A classic example I’ve used in the past is Chromebooks and how they have taken PC share by using cloud computing as the primary computing model. The theory has proven to be widely applied but it breaks down in the face of examples like the iPhone and Tesla. Clayton Christensen was so convinced of his theory’s universal applicability that after the iPhone was announced he famously predicted it to fail in the market because it didn’t follow the low-end disruption theory framework. Since then Christensen has backpedaled by explaining the success of the iPhone as a disruptive innovation to laptop computers. While this is a logical explanation it doesn’t have as much predictive power because at the time of the iPhone’s launch they weren’t positioning it as a disruptor to laptops and very few people were comparing it to other laptops – the comparison was with other phones. 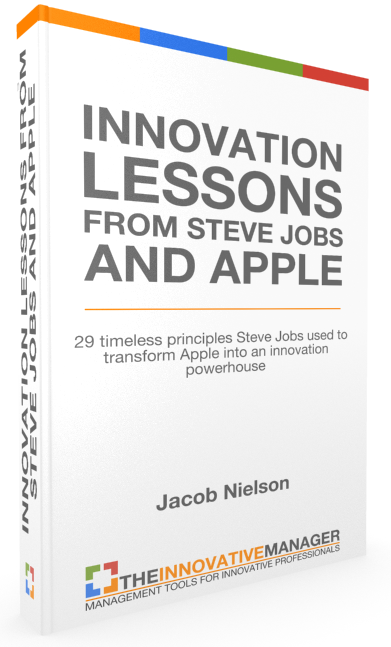 It was while studying this and the story of the iPhone that I felt a new theory was needed, one that was complimentary to disruptive innovation that would describe the iPhone and other similar success stories with reference to the base market. I called that new theory the theory of integrative innovation. Integrative innovation theory is essentially the opposite of classical disruptive theory. Rather than focus on one job to be done, Integrative Innovations integrate multiple jobs to be done into one solution. For customers, performing those jobs in the unified solution is as good of an experience or better than performing those jobs with dedicated solutions. Because of this integration the cost of the solution when starting out is usually quite high. Correspondingly the value of each job to be done to the customer is additive and has the effect of completely shifting a market upward. Over time the integrative innovator seeks to move down market as quickly as possible in order to reach the mass market. Below is a summary of how this theory works. 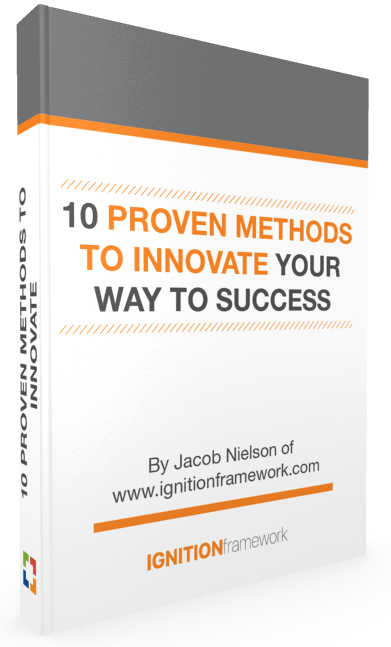 In an integrative innovation the new solution combines multiple jobs to be done into one solution. In doing so that so that solution causes a market shift upward because the value of each job is additive to the overall market. The story of the iPhone’s success is well explained in this new theoretical framework. And it’s also exactly how Steve Jobs positioned the iPhone when he introduced it back in 2007. When he went on stage he said they were launching 3 new products that day, 1) a new iPod, 2) a phone and 3) an internet communicator. Then his punchline was that those aren’t separate products and then showed the iPhone. When it came to pricing the first iPhone his thought process was clean and simple. He figured that at the time people were paying $299 on a 2 year contract for a new Nokia or Blackberry phone and $199 for a new iPod. With those two value references he priced the new iPhone, at launch, at $499 on a 2 year contract. A few months after launch they reduced the price but even at that price their adoption was substantial. It’s important to point out that runways were important for the iPhone as well. In the iPhone’s case what truly enabled it to move down market and gain mass adoption was the scale that Apple achieved with production of smaller, low cost chipsets and other hardware. This eventually enabled them to launch the iPhone 5C and now the iPhone 5SE. In addition to scale, the app store business model gave the iPhone new capabilities that allowed consumers to do even more jobs. This was a revolutionary model for selling software that prior to it was a lot like the wild west. The app store gave consumers a central, safe location to buy software for the iPhone. This ultimately sent the iPhone into new markets and created a platform for app developers to disrupt, in the classical sense, PC based software. To date I have found no better way, other than my own integrative innovation theory, to explain the success of Tesla. The following is the logic behind that analysis. Typically it was one or the other. You either bought a gas guzzling Ferrari to achieve high performance or you bought a Toyota Prius to be a good environmental steward. When Tesla launched the Roadster it was a breakthrough in electric vehicle performance that could out perform many of the world’s elite sports cars. But as mentioned earlier the Roadster was only the first step in the master plan. The second step was what has come to be known as the best car ever made – the Tesla Model S. What was so revolutionary about the Model S is it inherited the performance and environmental stewardship of the Roadster while adding a third capability – family transport. The Model S’ 7 seat design made it competitive with crossovers, minivans and SUV’s for hauling around large family’s such as Musk’s (he has 5 kids). But even with the Model S the appeal from the mass market was limited because of the steep $75,000 starting price. The pinnacle achievement of any integrative innovation is getting down into the mass market – which thanks to last week’s announcement could come as early as late 2017. At $35,000 the Model 3 shows significant promise for being a dramatically successful innovation. Below is a diagram of Tesla in light of the integrative innovation framework. In this framework, using the Toyota Prius as the base market offering that does one job well (as a side note the Prius was a disruptive innovation itself that achieved mass market), the theory would predict the Tesla Model 3 to be a smashing success and eventually eclipse the Prius in annual sales. To that point, so far Tesla has announced that over 325,000 pre-orders have been placed for the Model 3 – a number that has stunned the industry because it represents the most successful 1 week car launch of all time. When compared to the Prius’ sales, it’s easy to see that Tesla has indeed achieved mass market appeal. Based on the data so far available it’s clear that, as the theory of Integrative Innovation predicts, the launch of the Tesla Model 3 has indeed shifted the entire auto industry! 2 Responses to "Tesla Model 3: An Integrative Innovation Case Study"
Nice summary. Integrative Innovation is need of the hour and moving forward in future more such innovations will follow suit. Very few ‘thought leaders’ with not just business acumen but also with societal and environmental concern and commitment will drive such innovations and bear the fruits of success. Read the link between ‘Solar City’ and ‘TESLA’ and lay out… what else can be included ? No bounds for imagination ! Manohar, great point! I think the opportunities for more integration of jobs to be done into one solution are abundant between Tesla and SolarCity. The Tesla Powerwall is an exciting development and likely the future of home energy storage.